Book review by Daniel Machover of Seán MacBride et al. 's Israel in Lebanon. Seán MacBride et al, Israel in Lebanon, Report of the International Commission to enquire into reported violations of International Law by Israel during its invasion of the Lebanon, Ithaca Press, London, 1983. This well-researched report is the product of the deliberations of a distinguished self-appointed international commission. It sets out to analyse Israel’s actions in Lebanon during the summer of 1982 from the standpoint of international law. Of the commission’s six members, five were lawyers. 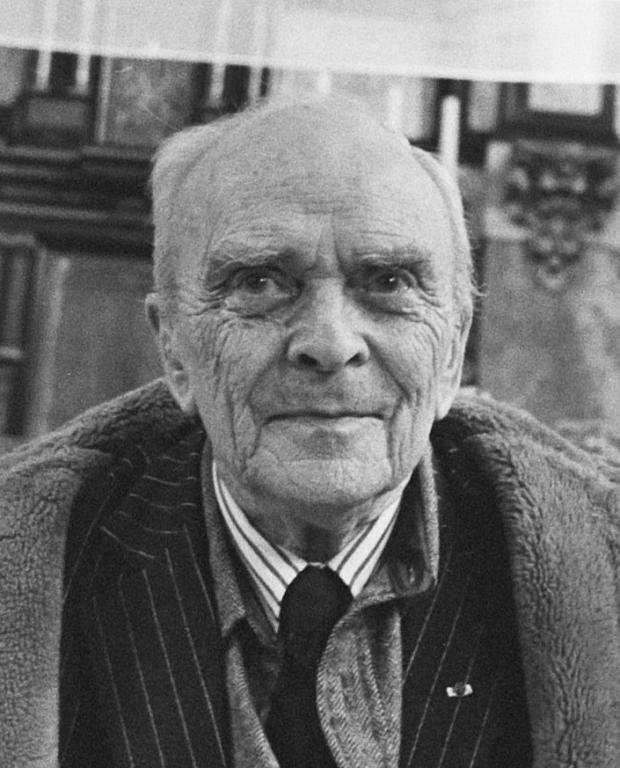 The chairman, Seán MacBride, is a former minister for external affairs of Ireland, a leading figure of the international peace movement, and himself a lawyer. Beyond ascertaining Israeli violations of international law, the commission aimed ‘to create a climate in which public opinion insists upon adherence by all states and political movements to the international law relative to war’ (p xiii). With this in mind, it presents the legal guidelines concerning the recourse to war and its subsequent conduct. The first of the book’s three sections discusses the initial act of invasion. It shows how Israel’s proclaimed aims as well as the official legal and political justification shifted as the invasion advanced. As new aims emerged, fresh justifications had to be presented. It transpires, then, that in reality the Israeli invasion had very little to do with ‘self-defence’ (as the label ‘Peace for Galillee’ was intended to suggest) but was motivated by aims for which no legal basis exists. These were, according to the commission, the wish to re-draw the political map of Labanon and break the Palestinian national will. Other aims and justifications – some genuine, if subsidiary – also provide no legally sustainable grounds for the war. At this point the commission engages in a somewhat confusing discussion of Israel’s attack on the Palestinian right to self-determination. The confusion results from the commission’s presentation of this right purely in terms of UN resolutions, which in reality reflected only certain aspects of the Palestinian issue. The impression gained here is that the Palestinians acquired the right to self-determination only as a result of the 1967 war. This impression is only dispelled in Chap. 4, which presents a potted history of the issue, but introduces new vagueries. Uncharacteristically, the commission fails to explain how and why international discourse had shifted from recognising Israel in the borders of the 1947 UN partition resolution, to a recognition of Israel in its borders of 1949-1967 (the 1949 Armistice Lines). The commission almost ignores the difference between the two borders, and consequently does not explain the shift in international perception from the original ‘national home for Jews’ as reflected in the 1947 plan to ‘various Security Council resolutions [which] underpinned Israel’s legitimacy behind the frontiers of 1967′ (P25). The commission goes on to describe the international-legal recognition of the PLO as a national liberation movement, particularly during the period 1974-76. This fourth chapter ends with a quite unnecessary digression in which a ‘solution’ to the Palestinian problem is proposed. There are many views as to a possible solution, and it is not within the commission’s self-defined brief to come down in favour of a particular formula (It favours the ‘two state’ solution). The report’s second section deals with Israel’s conduct of the war. Through clear and well-structured documentation, it shows that the IDF (the Israeli armed forces) broke virtually every law of war. These violated laws range from the widest principles to the most detailed rules governing the use of specific weapons. The mass of collected evidence shows clearly how the IDF violated, without sustainable justification, the internationally recognised principles of ‘military necessity’, ‘proportionality’, ‘discrimination’ and ‘humanity’. The quotations from Israeli servicemen and press reports are particularly impressive. The commission gives perhaps insufficient weight to the murder of individual civilians by members of the IDF. Nevertheless the themes of ‘blanket bombing’ of the civilian population and the ‘incidental’ victims of land, sea and air bombardment are extensively dealt with. Israel’s often contradictory justifications in relation to civilian deaths are all rejected by the commission on legal grounds. One of the most shocking facts to emerge in this connection is that Israeli servicemen had no specific training and instruction on the conduct of war in civilian populated areas. This is a serious indictment of Israeli military training, and a condemnation of those who planned the attacks on Sidon, Tyre and other civilian centres. The report’s third section deals with Israel’s actions in Lebanon as an occupier. Israel still refuses to acknowledge that it is an occupier in Lebanon; it says it is merely ‘present’ there. In this way Israel is trying to disclaim certain obligations incumbent upon an occupier in international law. The commission shows that Israel is in fact an occupying force in the strict sense of the term, and goes on to expose serious violations committed by Israel in this capacity. The damage done to the Lebanese economy, the extensive arrests, the lack of proper status for the enormous number of detainees, and the Israeli aid to and use of certain militias are all critically assessed. Here the commission is quite right to go beyond its brief, in trying to explain the probable political motive for Israel’s occupation. Few could argue with the commission when it ‘… concludes on the evidence before it that [Israeli occupation policy] was to push Palestinian people out of the occupied zones and even out of Lebanon’ (P138). The siege of Beirut and the massacre at Sabra and Chatila are each covered by a separate chapter. It is shown that Israel’s use of certain weapons and the deployment of militias were conscious violations of international law, and that they were designed to terrorise, kill and maim the civilian population of West Beirut. Concerning the massacres, the report concludes that ‘wider political and historical findings of the Commission suggest that events at Chatila and Sabra were not inconsistent with wider Israeli intentions to destroy Palestinian will and cultural identity.’ In view of the evidence presented, this conclusion is, if anything, too cautious. Israel’s responsibility for and control over what happened emerge quite clearly. Indeed, in one of the report’s strongest passages it is pointed out that Israel’s dehumanisation of Palestinian people, and its alleged aim (at Sabra and Chatila) of ‘mopping up 2,000 terrorists’ provided the murderers with what was ‘virtually a mandate for the indiscriminate slaughter of “2,000 Palestinians”, whether armed or not, whether identified as PLO fighters or not’ (P181). On the whole, the chapter on the massacres is most impressive and alongside the first Appendix on genocide and ethnocide it constitutes a powerful indictment of the Israeli state and not just (as in the Kahan report) of certain individuals. The limitations of the legalistic approach to the invasion of Lebanon and the ‘Palestinian problem’ in general are obvious, and emerge several times in the text. But this very readable report is both comprehensive and instructive within its self-imposed limitations. For anyone interested in this topic I would strongly recommend Robert Fisk's 'Pitty the Nation.' The book takes on the entire civil war and it was written by a journalist who'd spent the entire war in West Beiruit.